To access this content, you must have a Premium Membership. Design your own guitar Are you ready to lay down the blueprint for your very own custom guitar? The course contains full instructions and a library of templates to create your own original guitar design and working drawing. It covers all aspects of designing a solid body electric guitar, including vital information on construction styles, […]To access this content, you must have a Premium Membership. Are you ready to lay down the blueprint for your very own custom guitar? The course contains full instructions and a library of templates to create your own original guitar design and working drawing. It covers all aspects of designing a solid body electric guitar, including vital information on construction styles, wood, hardware, bridges, tuners, pickups , electrics and much more! The design will be a real working drawing of a guitar and the course will guarantee success if you do go ahead and build. 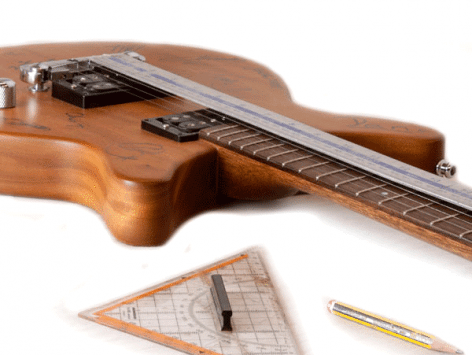 The guitar designed in this course will be made in the next course – Build Your Own Guitar. Final Summary – What’s Next? I love making guitars and showing others how to do it!